Read Matthew 10:1-8, and then discuss the questions below in your table groups. 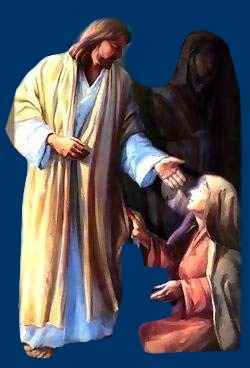 Why do you think Jesus gave the disciples power to heal the sick? What do you think this means for Christians today? How is our ministry contributing, and what else could we do? As a group, read the following Scriptures and make a chart (see example below) of all the women mentioned, the roles that they served in for the early Church and their impact (wherever possible). 1. Are you surprised by any of this information? Why or why not? 2. How do women’s roles compare to men’s roles in New Testament Scripture? 3. What do you think about Scriptures like 1 Corinthians 14:34-35, 1 Timothy 2:11-3:13 and Titus 1:5-9? 5. What does all this mean for the Church today? This lesson uses John’s letter to seven churches in Asia Minor (a.k.a. the book of Revelation) to take a look at the churches of the current day and then to focus on an evaluation of our own church and even our own hearts. The debrief is intended to lead individuals toward repentance. Print copies of “7 Churches of Revelation – Chart” (one per participant). 1. Do you feel these descriptions match churches that are in existence today? Why or why not? 2. Give some examples of churches today or from what you know of past churches or ages within the church. 3. How do you know that these churches are like the ones described in Revelation? 4. What do you think needs to be done for these churches (at least the ones that need to repent) to become the types of churches God wants them to be? 5. What do you think will happen if they don’t repent? 1. Which of the seven churches is most like your church? 2. Why do you think that is? 3. What needs to be done? 4. Which of the seven churches is most like your heart? 5. Why do you think that is? 6. What needs to be done? 7. Take some time now to talk to God in prayer. a. Confess any sins of your church or in your personal life that the Holy Spirit has brought to your attention. b. Repent of these sins, and commit to making changes that will please the Lord. c. Write down your commitments and put them someplace you will remember to look at them often. This object lesson teaches about the need to protect our hearts and minds from the evil things that might get in them. ·You might need a confederate when you try to tempt the “gate-keepers” to let you into the city.Talk to one of the older children ahead of time, and let them know you want them to let you in the gate after you’ve tempted them some – maybe when you offer the candy.Ask the child to keep this a secret.